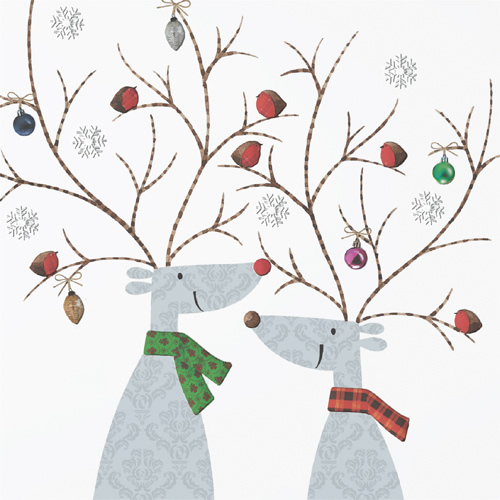 This cute card shows Rudolph and his friend wearing colourful Christmas scarves. Their antlers are decorated with baubles and robins. The snowflakes which appear silver are actually embossed in white and are much more subtle on the card than they appear on this image. Printed on a quality matt board, this lovely card is bound to bring a smile to everyone who is fortunate to receive it! By purchasing the Reindeer and Robins Christmas card 10p for each card you purchase will be Donated to the Charity of your choice from the Charities listed below.